In a shocking case, a woman in Chennai's Mylapore area was detained for attacking a woman traffic police constable who stopped the lady on her two wheeler for not wearing a helmet. According to TOI reports, the woman (a lawyer) was stopped by the traffic police constable and was asked to pay Rs. 100 fine for not wearing a helmet. In minutes of discussion, a brawl took place between the two where the lawyer threatened to leave and also tore the receipt for the fine of Rs. 100 after the police noted down her scooter registration number. An hour later, the woman and the police both were sent to a nearby police control room for further investigation. But nothing seemed to have subsided, as they abused each other and their fight ended up in a scuffle. During the clash, the policewoman sustained minor injuries and was taken to government hospital for immediate medical treatment. A case has been register against the lawyer for an inquiry based on the complaint filed by the police woman. This page contains news relating to various facts and events. The views are generally about current affiars and general topics in diversified areas such as political, international, national, and regional issues, sports, health, travel, lifestyle, technology and business. People having similar interets on the above topics will find this page useful. 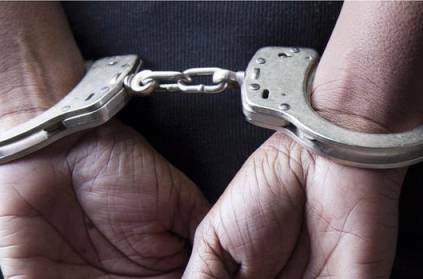 Chennai lawyer detained for attacking police woman | Tamil Nadu News.